Find 10 times as many issues as ground inspections in 10% of the time and at 10% percent of the cost. Whether you need to monitor the performance of your solar PV system operator, inspect a site for warranty claims, or just want your investment to perform optimally, our drone-based solutions deliver a flexible, cost-effective way to inspect your system assets. 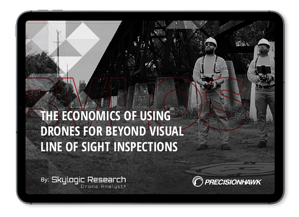 Traditionally, O&M providers, EPC firms, and asset owners have relied on plane flyovers or ground inspections using handheld sensing devices to check for anomalies, induced degradation, module mismatch, and other issues. Operators reduce outages and prioritize maintenance to stay within service-level agreements. Owners use aerial data to manage assets over a lifetime, selecting operators and materials that consistently maintain the best outputs. Don’t just collect data—get insights. Use our intuitive reporting system to resolve issues or integrate data into asset management systems (to maintain and monitor assets in a more prescriptive fashion). Trend analysis: identify patterns in the performance of assets from various OEMs and in differing regions. Pre-purchase Evaluation: buyers can request a report detailing topography, panel health, string issues, and vegetation. Insurance Risk Assessment: insurers may offer customers a discount if the assets are in good shape. Insurance Claims Reporting: claims adjusters can quickly assess damage after a storm for insurance claims. Our reports are easy to read and give your maintenance staff an exact location to fix a solar panel, repair a string, or manage encroaching vegetation. When workers can avoid walking the farm with handheld sensing devices, the risk of electric shock, accidental injury and heat stroke decreases. And for assets attached to commercial rooftops? An aerial inspection aids in compliance with safety regulations, keeping staff off of hot roofs and eliminating the risk of injury from falling. While maintenance staff gets specific directions on where to go in the field to make the fixes, asset managers, and anyone with a stake in the health and productivity of the PV install can integrate the data into their systems to track issues. Over time, this data can inform decisions on preventive maintenance and prescriptive decisions around the selection of contracting companies and replacement materials. We employ the most advanced thermal infrared and high-resolution visual sensors available. Our data algorithms turn sensor data into insights, measuring the condition of every module and cell, as well as other components. The outcome is an intuitive, actionable report. A utility was investigating why one of its solar farms was delivering 30% less energy than it was designed to collect. Their own data showed just four defective panels, and one anomaly near a ground wire. The utility initially thought the data was reported in error—until PrecisionHawk flew a drone, collected data and analyzed it. It turns out the anomaly was an incorrectly installed ground wire. Even walking the farm with a handheld device might not have detected the problem. The energy output returned to the expected level after the ground wire was fixed. One operator wanted to take full advantage of warranty coverage before it ended. A drone-led inspection uncovered multiple defects. The company made a warranty claim for $400,000, with the cost of the inspection amounting to only 12.5% of the claim. Munich Re, one of the world’s largest reinsurance companies, had successfully teamed with PrecisionHawk to fly drones over a damaged PV system and provide detailed information for areas that needed to be fixed. The company has also used drones to run a pre-loss program looking for vegetation encroachment and panel before power generation was interrupted. We help you select the best sensor for the job, and understand the unique needs of solar PV installs. Want to further integrate drones into your preventive maintenance and incident recovery programs? We offer a full suite of services that strengthen the data value chain. The result: You can manage your solar infrastructure efficiently and effectively.